Digital PS3 version reviewed, minus the online and Library Mode which are due for a major day one patch. The 'Guilty Gear' series has taken a set of odd turns. While the series has mostly stuck to 2D fighting titles, the most recent mainstream entry, 'Guilty Gear 2: Overture' (the fourth main title), was an unusual mix of real-time strategy and action elements. Thankfully for fans, though, the newest title in the series, 'Guilty Gear Xrd -SIGN-' returns to its fast-paced fighting genre roots. However, Arc System Works isn't afraid to make some changes, with a new art-style and an increased focus on the series' hard to penetrate plot, not to mention the move to a new engine in Unreal 3. Along with an arcade verison and the PS3 version, 'Xrd' also marks the series' debut on the PS4. In terms of story, 'Guilty Gear Xrd' is a bit odd. The game's Arcade Mode comes first in terms of plot, as it focuses on when one of the new villains (Ramlethal Valentine), declares war on the world. Afterwards, the Story Mode picks up right where the Arcade Mode's ending left off, detailing the aftermath of the incident at Babylon. Quite honestly, 'Guilty Gear's storytelling is not the series strong point, and 'Xrd' does not deviate from that established standard. The game makes no effort in catching players up, nor to explain many of the in-universe terms that are flown about. Additionally, to get anything out of the Story Mode you have to know the plot to 'Guilty Gear 2: Overture', a title widely ignored by fans. For me, even with that knowledge, a few plot points still flew over my head, and the inevitable 'To Be Continued' at the end of the Story Mode left much to be desired. 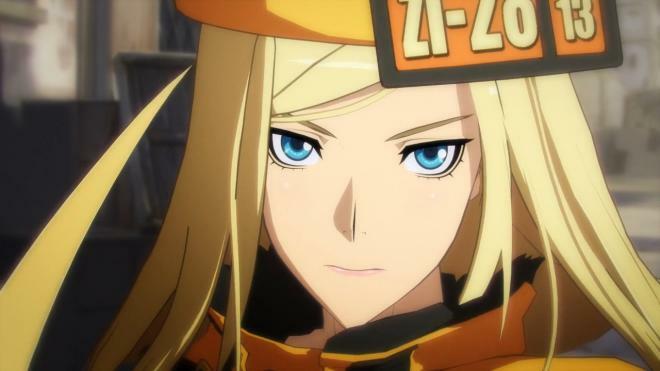 With little stock to put in the story, the gameplay is where 'Guilty Gear Xrd' has to shine. Thankfully, the fast and frantic battles will please any fighting game fan. While the fighter roster has been drastically decreased from previous entries, there is still a good spread of characters available for most playing styles, even if some favorites are sorely absent. From there, it's all about landing powerful combos. 'Guilty Gear Xrd' is not a technical fighter, like 'King of Fighters' or 'Street Fighter IV', but there is still a heavy emphasis on learning long combos to handle any situation. Also, unlike Arc System's fighter that came out earlier this fall, 'Persona 4 Arena Ultimax', 'Xrd' does not attempt to hold players' hands, forcing them to learn the ins and outs of the various mechanics to survive the Arcade Mode. That said, while the gameplay is ultimately fun and satisfying, the lack of any newbie oriented ways to learn the mechanics make it difficult for new fighting game fans to jump in. Sure, there is a Tutorial mode to learn the basics, but like most fighting game tutorials, it can be difficult to connect the mechanics with the actual gameplay otherwise. Therefore, while the gameplay is quite solid, the lack of any worthwhile introduction to the mechanics coupled with the lackluster story makes the game a little difficult to recommend to anyone other than one of two subsets of people: die-hard fighting game fans looking to play most of the titles that are likely to be featured at EVO… and people like myself, long-time fans of the Guilty Gear series that have been waiting for a new entry for years. In the past, the Guilty Gear series used high quality sprites to render the characters and their animations. 'Guilty Gear Xrd' moves away from that standard, instead opting to use 3D models for the fighters. This was originally met with backlash by fans, as there was a fear of loss of some of the more unique characters' charm and animations may be lost in the transition. 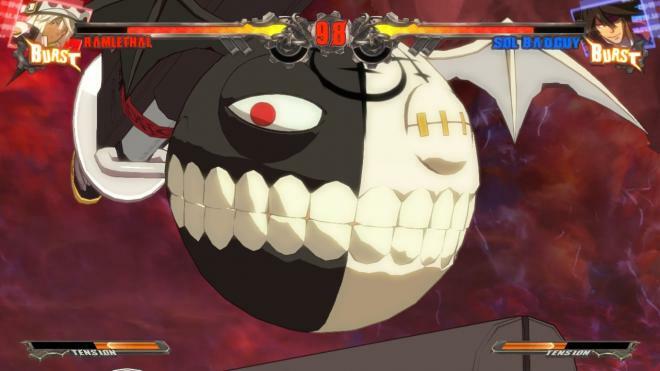 Thankfully, Arc System did a masterful job with the new graphical direction. The 3D style used mostly replicates the old sprite based style, without the limitations of such a work-heavy style. While the battles are still in a wholly 2D style, they occasionally break out into a more 3D view for cut-ins and super moves, and for the taunts at the beginning and end of battles. But the new models don't really get a time to shine until the Story Mode, where (it at least appears) it uses the in-engine models for all of the cutscenes. The scenes and animations in the Story Mode are mostly stunning, and a few oddities aside, really show off the new graphics in a wonderful light. Likewise, the music for 'Guilty Gear Xrd' is top-notch. Both the remixed tracks from earlier titles and the new tracks are all heavy metal tunes. Given that the series is heavily influenced by metal and the somewhat unusual culture that stemmed from the musical genre, the tracks fit perfectly. Voice acting, on the other hand, is mostly strong, though there are some unfortunate hiccups. It feels as though Sol Badguy's actor is trying a bit too hard to sound like a typical gritty anti-hero, coming off as fake, and while it's understandable that Ramlethal is supposed to sound flat and emotionless during the majority of the story, her voice fails to reflect any character development that happens throughout the course of the plot. In comparison to most fighting games, 'Guilty Gear Xrd' has only an average amount of stuff to do, but even then that's still a lot. Playing Arcade Mode with each character shows a different facet of the story before Story Mode, making it worthwhile to work through a goodly amount of them. Additionally, there are challenges and lessons to work through, to help players really master the various mechanics of the 'Guilty Gear' series and the advanced moves of each character. This is important when going online, where the large rooms are sure to be full of all types of players to fight against. Finally, there's M.O.M. mode. In this mode, the chosen character goes through a number of stages, fighting through opponents and gaining medals. These medals are used to buy a variety of items, including stat power-ups, new throwable bomb types, and equipment. The mode adds a lot of content onto an already meaty game. 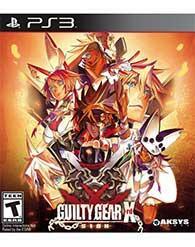 Like I said above, I've been waiting for the likes of 'Guilty Gear Xrd -SIGN-' for years. After the oddity of 'Guilty Gear 2', finally seeing a return to the series core fighting game mechanics filled me with endless excitement… and honestly, 'Xrd' is all I've wanted for an entry of the series. The wonderfully fast and somewhat complicated gameplay is still intact, and the graphical change is a joy to behold. But, as much as I'd like to tell everyone to run out a buy a copy of the game as soon as it comes out, I simply can't. 'Guilty Gear Xrd' is not for everyone. The story is nothing short of a mess, and while the gameplay is fun, it can be hard to recommend to the average gamer. 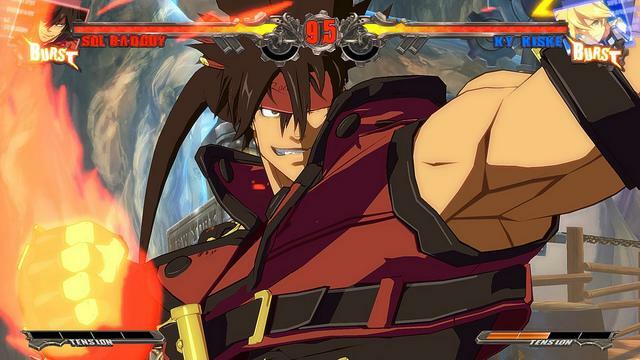 If you're a fighting game fan, 'Xrd' is sure to find a nice place on your shelf. Otherwise, give the demo a try first; don't go buying this title without giving some of the game a playthrough first.